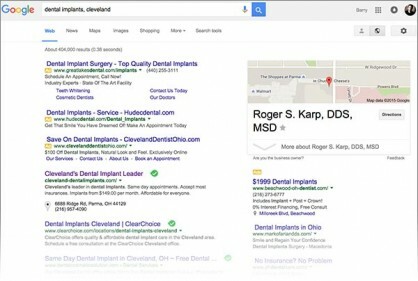 Two days ago, we couldn’t find Cleveland Dental Implant Center on the first page of listings by Googling, “dental implants, Cleveland” or “dental implants, Parma”, in spite of the fact that Dr. Roger Karp is the premier periodontist in this particular area. I met with Roger and went over their entire online presence, including blogs, on page SEO and Google and social media presence. We found in Google Maps that their address was listed incorrectly. We also found other inconsistencies with how they listed their NAP (Name, Address, Phone) information. 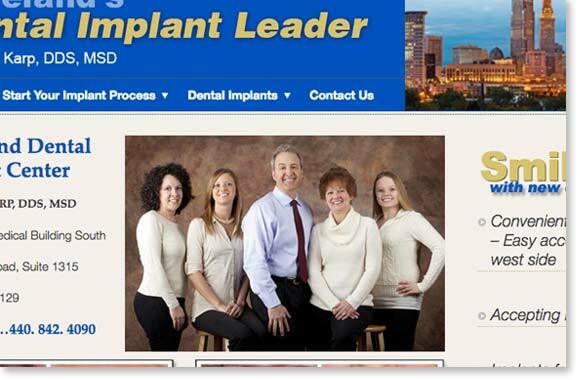 For the complete case history of this Local Search success story, <<< go here.